Thrips are small insects that breed on plants. Whether singular or plural, they are always spelled with an “s.” They are minute-sized creatures which make them difficult to see. This is one of the key reasons to call a pest exterminator for their eradication. They feed on leaves by puncturing and sucking the cell contents, causing the discoloring and silvering of the leaf. They have specialized mouthparts for injecting and sucking. Therefore, they are potential plant damaging creatures. In this article, we will talk about thrips pest control - facts, identification & control. Following are some of the facts and figures about thrips. These are small winged or wingless creatures; the winged ones have fringed wings. There are more than 5,000 species of thrips. Most of them range in size from 0.5 to 5 millimeters. One mandible of thrips is longer than the other that helps them to pierce through the outer layer of plants and animals. The signs of thrips' presence vary from species to species. Those feeding on plants damage crops, and after feeding, they leave marks such as skin darkening or deformities. You may also find their eggs on plants because they lay their eggs on leaves, causing discoloration surrounded by white holes. Also, if you find plant disease such as the necrotic spot and tomato spotted wilt virus, it is likely that thrips are living in your home. You need to control them because their feeding habit can cause you a lot of trouble. They are famous for reproducing rapidly and infesting areas with plants. They penetrate your home and nestle into your plant. Some of them are known to bite humans. However, their bites don't usually cause severe skin damage or swelling. They do not look for blood meals, but if they aren’t controlled, they damage plants to an extent to which the plants cannot reproduce. Call Termanator at the first signs of a thrips’ infestation. The experts will assist you in the eradication of these trouble-making insects. 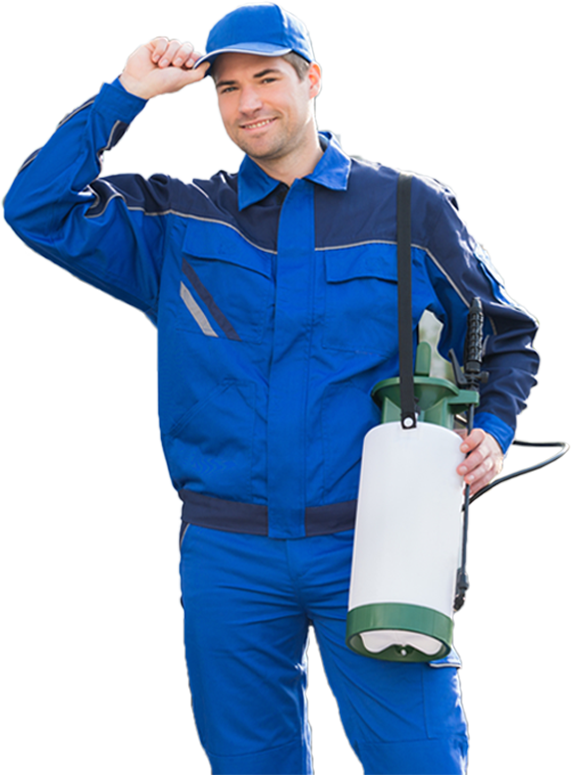 Our experts are skilled and equipped to detect their presence under plants and get rid of them with the following two treatments. Chemical treatments are effective and necessary when a thrips infestation has spread across lawns and grassy areas. However, non-chemical treatments are also useful. Some examples include removing damaged plants to eradicate their presence and prevent them from causing further damage to other plants. Another useful example is using a vacuum cleaner to remove these insects.